On the December 11, 2016, The Compassionate Friends Worldwide Candle Lighting will unite family and friends around the globe in lighting candles for one hour to honor the memories of the sons, daughters, brothers, sisters, and grandchildren who left too soon. As candles are lit at 7:00 p.m. local time, hundreds of thousands of persons commemorate and honor the memory of all children gone too soon. TCF’s WCL started in the United States in 1997 as a small internet observance, but has since swelled in numbers as word has spread throughout the world of the remembrance of children who have died, but will never be forgotten. A grief malaise ??? I am trying to figure out if I am in a grief malaise or is my grief made worse because of the awfulness happening, in America ? Well, all over the world ? Here is a definition I found for malaise: a condition of general bodily weakness or discomfort, often marking the onset of a disease. 2.a vague or unfocused feeling of mental uneasiness, lethargy, or discomfort. Something has been happening most of this month. It struck hard when one of the hosts on K-Love asked: who would you want at your Thanksgiving day table ? It sounds like most said “Jesus”. I could not think on it, as sadness set in. Could I handle another goodbye ? On Wednesday morning (11.23) folks were calling in and sharing their thankfuls: healed health issues, answers for health issues, relationships restored. I know there were several other things mentioned, but… I think I was tuning them out. Sometimes when grief rears its ugliness, I have a very hard time being thankful, for anything. I do appreciate the brave folks calling in and I am glad for their prayers being answered. This past week has just left me feeling so sad for so many folks. A personal comment: I do not know the details, I do not judge. I am praying for all involved. I know the pain of child loss. I ache for those parents, as they face this holiday season (?). As a school bus driver, I feel for the school bus driver. Everyday, the responsibility of driving my passengers, safely~from home and back to home, feels quite overwhelming. What I am trying to say, is, I realize that all those parents, on my route, are trusting me and my judgement and my work ethic, to keep their precious children~safe. I love my job. Oh that I wouldn’t fail all those parents. All my passengers are precious to me, their well being is foremost in my mind, each time I get behind my school bus wheel !!! It saddens me that folks set aside the grief of others to promote their agenda. Whenever a school bus accident happens, the first thing mentioned is the needing of seat belts on the school buses. I do understand the concern. It made my heart ache when proponents for seat belts on school buses, chimed in and obscured the sudden grief those parents were facing~such pitiful actions !!! Here is where I need help: Mind you, I understand the safety precautions, but please step back for a moment; imagine your child on my bus, it is an 84 passenger~pray tell this doesn’t occur, but if an accident were to happen, whose child’s seat belt should I assist with first ? How would I decide ??? AND, how would I live with my choice ??? I really do not believe I am placing too much trust in those who have figured out the safest design of a school bus. I am very earnest about my job !!! Why ??? Why have our protectors, defenders and rescuers been so disparaged ??? Why are folks not thankful to those who, willingly, put their lives on the line, for our safety and freedom ??? Why are folks slaughtering our heroes ??? To add to my malaise; the unadmirable protestors ??? Please forgive me here, I desire for the day when I will have temperate reactions, when frustrated by the actions of unwholesome protestors. Mike Pence set a fine example of how to react well, when he and his family were at the play:”Hamilton”, and were the object of ridicule. A few years ago, these type of protestors were known as the occupiers. Yes, I understand their freedom to speak, but their destructive actions, their vulgarity, their disdain, their disrespect~sure give me plenty of reason for not wanting to listen to their complaining, or even care. How graceless !!! How disappointing !!! How appalling !!! How ruinous !!! How Shameful !!! How Insolent !!! How perturbing !!! Why is it okay for these troublemakers to do their thing and be coddled by our government, and yet peaceful protestors are berated by our government ??? Is this grief, or am I just cotton pickin’ fed up ??? Please forgive my rantings. I will end on a nice note. 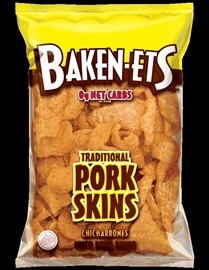 For whatever reason, I enjoy~~~ Chicharrones. I do know they are not healthful. I do not munch them, very often. Wednesday night, I bought some, as a treat for Thanksgiving~I didn’t need a turkey. I opened the bag, to my amazement, all 4 chihuahuas, wanted me to share my Chicharrones, with them. Their munching sounds were so cute. The video failed. I tried to get each one to look at me, for cute photos~that didn’t work. We have camera shy critters. QT~he is 12 years old, chowin’ a Chicharrone. Cuddlz~almost 12, enjoying her Chicharrone. Tiger~3 1/2 , she is munchin’ a Chicharrone. Tuffy~3 1/2, she isn’t growling, she is chewing a Chicharrone. Oh, by the way, I have spent much time, with the help of my husband, on fixing PorQ videos. I am so far behind on ornaments that I might have to put off sharing the PorQ videos until after Christmas break.